"It is no secret that the world is facing a global food crisis... In 2009, BloggerAid-Changing the Face of Famine (BA-CFF) was born from a vision that ordinary people cn achieve extraordinary results... We understood immediately that food bloggers could best relate to a cookbook." ~excerpts from the Preface to the BA-CFF Cookbook The minute I received notice that our cookbook was ready for sale...I was on it! 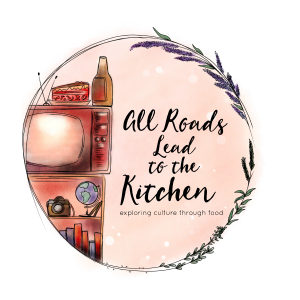 This gorgeous collaboration by food bloggers from all around the world is such a source of pride to me. Do you remember when I posted a picture of my recipe contribution, Lentil Burgers...what seems like oh so many months ago? Well, my recipe is now on page 133. Big smile!! This book is diverse and colorful and filled with quotes and sayings and introductions to each of the 140 (I believe) food bloggers that contributed to this book! I've mentioned before that I am a big baby, right? I cry at commercials, books, movies, kids recitals, songs, blog posts...you name it...so it probably won't be a big shocker when I tell you that simply reading the preface brought tears to my eyes. Seeing my recipe and some of food blogging friends recipes brought tears to my eyes. Holding this amazing labor of love in my two hands...the feel of the cover and the pages on my fingers...you guessed it...brought tears to my eyes. But most of all, remembering the fact that all that's 100% of the proceeds from the sale of our book, is going to benefit hungry children. The United Nations' World Food Programme (WFP)'s School Meals program feeds an average of 22 million hungry children each year. As a mom...as a human being...this tugs at my heart as well as my tear ducts. Won't you please help feed and nourish and educate those less fortunate by clicking HERE and purchasing our new BloggerAid-Changing the Face of Famine Cookbook? And why not get involved by joining BloggerAid-Changing the Face of Famine? Are you ready for one of the many diverse recipes from the book? This one in particular is something I have been wanting...meaning...to make for a long time, but for some reason just hadn't gotten around to it. In all honesty, I'd never even tried this "cut" of meat before. An oxtail is just as it sounds. While going through my book, I came across a recipe from Giz & Psychgrad of Equal Opportunity Kitchen for Oxtail Stew...and thought it looked and sounded so dreamy and comforting...and then I found a couple pounds of oxtail at the store a day or so later...fate. Let me tell you, if you've never tried oxtail...you must! It is rich and silky and absolutely delicious! In a large soup pot over medium heat, heat the olive oil. 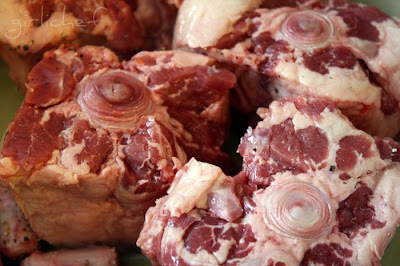 Pat oxtails dry and season with salt and pepper. Brown in batches on all sides (~5 minutes per batch). Don't over crowd the pan as it will not allow oxtails to brown effectively. Transfer oxtails to a dish and set aside. Add onion, carrots and bacon to pot and sauté in oxtail drippings until the onions are softened and the bacon begins to turn brown, ~10 minutes. I had a lot of fat from my bacon here, so I actually drained most of it off before moving on to next step. Return oxtails to the pot. Add broth, wine, tomatoes (w/ their juices), bay leaf, thyme, salt & pepper. Raise heat, bring to a boil and reduce heat to low, simmering the oxtails until they are very tender; ~3 hours. Skim any foam that may rise to the surface. Transfer to a serving plate and top with freshly chopped parsley. I also served it over some warm polenta w/ parmesan. There is also a link on my sidebar to purchase the book...at any time! So, as if helping feed hungry children weren't more than a great reason to check out this cookbook...imagine 139-ish more recipes equally as tempting, yet completely diverse to delve into!! I'm also sending this over to Deb at Kahakai Kitchen for Souper Sundays this week. Could you pass me a yummy bowl of that, since I have a cold coming on, and it would be the perfect comfort food! I've never cooked with ox-tail before. I want to make Pho which is oxtail broth. I think I have the courage now. I'll make this first. Thanks for a great post! Oxtail stew is one of my favorites! 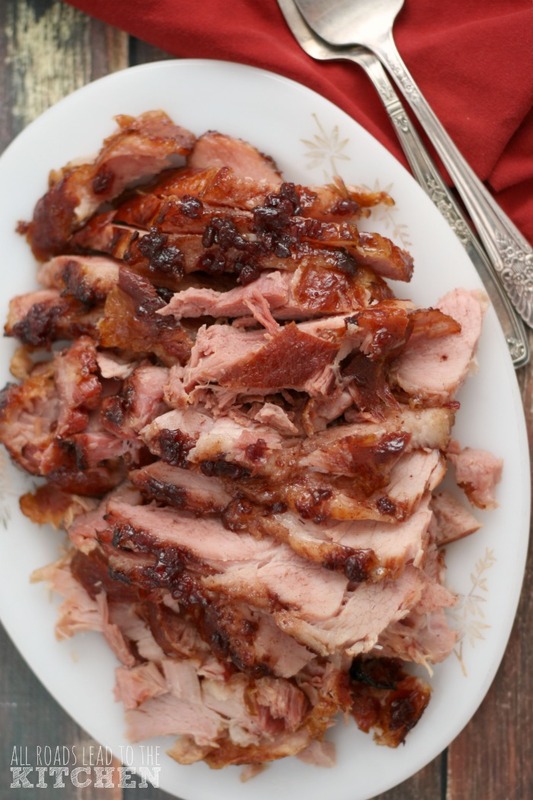 The meat gets wonderfully tender and the broth gets so thick and rich with flavor. Nice job! You did such a fabulous job of the oxtail that now I want to make it again. Such a heartfeld post and it's okay to cry at things - it's living in the moment and that's a good thing. Thanks also for the shout out on the book and our recipe and so glad you liked it. I love seeing recipes with these different cuts of meat in them. We had oxtail soup growing up, but I don't remember what it tasted like all these years later. Congratulations on the cookbook. And I must say I am very interested in seeing the recipes. Congratulations on your published recipe! What a wonderful cause! And now I know what to do with all of that oxtail in my freezer! I usually just let it sit in there until it is old and throw it out. So wasteful! I totally should google a recipe, but I always forget. Now I don't need to...this looks delicious! This book really has been a labour of love by so many Heather. Thank you so much for your heartfelt support and for your delicious contribution. That looks incredible! Congrats on the book!! I hope it sells billions!! 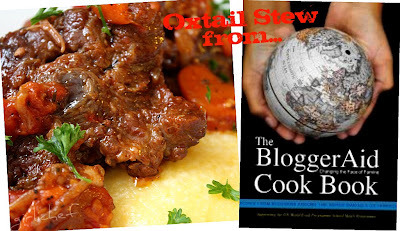 Beautifully sentimental post (hope it drives some readers to click through and purchase the book) and a great interpretation of the oxtail stew. I also found the food blogger recipes compelling reading. That looks like the perfect antidote to a cold winter night! 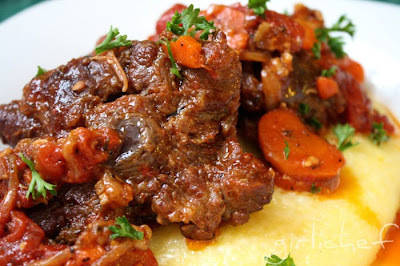 Oxtails are so incredibly flavorful! I wish I could have a large portion of this perfect cooked oxtail stew now! Scrumptious! That is a great project, I'm going to have to order a copy. 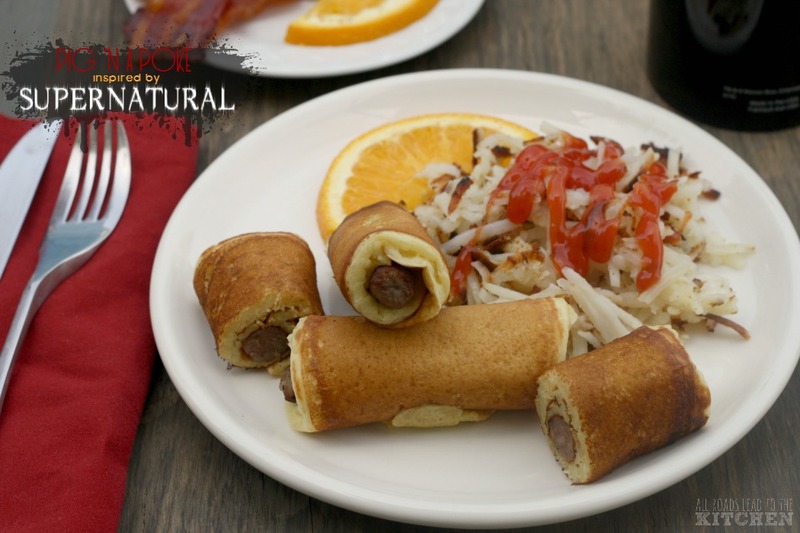 This DOES look yummy! 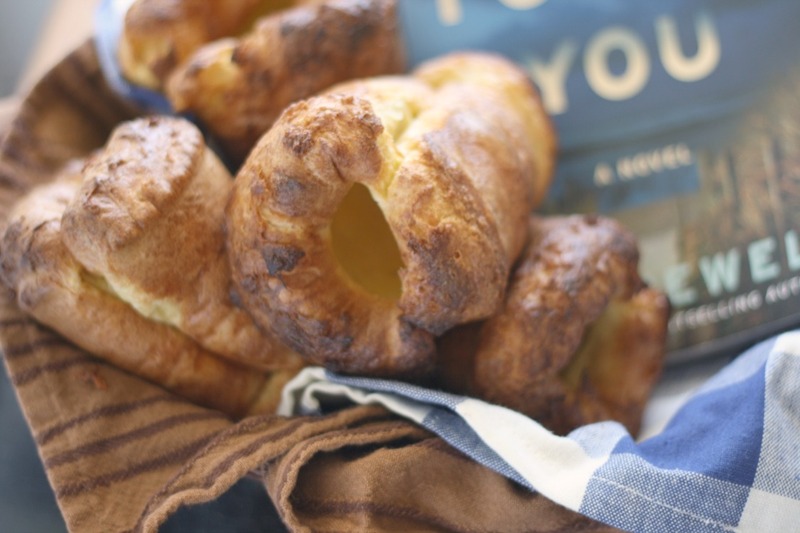 I've ordered my book too and cant wait to see what page my recipe is on... great post and great pictures too! what a great cookbook! i have yet to try oxtail, but i really want to now! Thanks for reminding me that I need to get around to buying my copy! It's always in the back of my mind and yet I just haven't done it yet. I've never had oxtail either but you make it look so good! What an awesome stew. I remember seeing this on a show one. i think it was somewhere in the Food Network. I'm actually tempted to buy me some oxtail now. I would love a bowl of that stew for my dinner tonight, looks awesome! I'll definitely be checking out the cookbook. 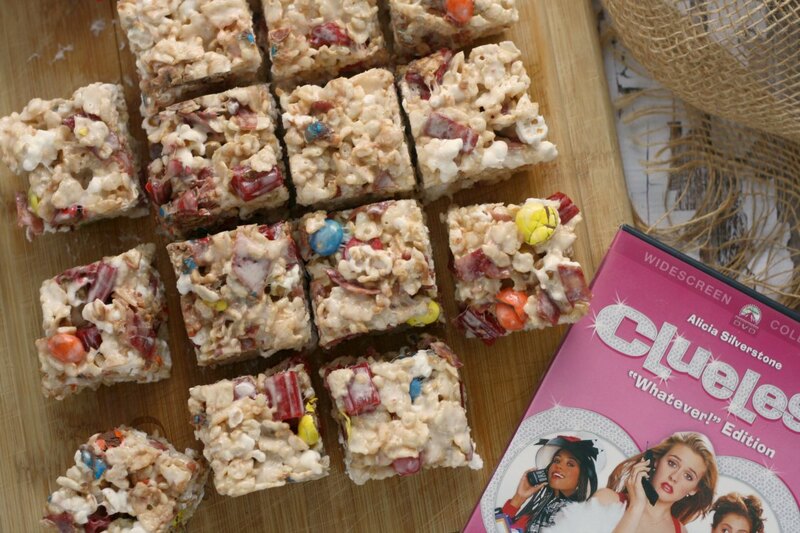 This looks mighty tasty- great photos! Also how cool is that you're one of the bloggers in the book?! I'd like the book and the stew please. Both packed with flavor and both warming to the body and soul. I've never had ox tails. Have seen them in the meat case at the grocery store but...never knew what I could use them for. Looking good, Girlichef. The book is awesome. I know that you are very proud. This just proves what wonderful opportunties surface in the blogging world. The oxtail stew looks fabulous. For a long time I've wanted to try oxtail soup, but Ole Sweetie-Pi gets oogly over the idea. I see how beautiful this look and read your description and I think I may have to go ahead with it anyway. Bless your tender heart. It's folks like you and the contributors of that wonderful cookbook who make such a powerful difference. OMG!! I wanna bowl... looks fantastic, you have that way about you. Oh my, so rich and satisfying! I have to get a copy of this book, all my friends are in it! Congratulations again. This cookbook is such a fantastic project! I just checked out your lentil burgers...congrats on p. 133! This stew literally looks like the perfect comfort food! The stew looks so rich and comforting. I haven't tried oxtails before, but I do know that people love them! This sounds like a fabulous book and you are lucky to be a part of it!! Oxtail Soup is on my list to make. I have eaten it several times as it is pretty popular here but have never made it. I got my BloggerAid Cookbooks last week but have not had a chance to do much with them yet--it's on my after-Christmas list. Thanks for sending the soup to Souper Sundays. I'm so jealous you got your copy already - it looks great! Love stews like this! Perfect winter meal, so comforting and hearty! That is the perfect dish for this cold weather. Delicious. Yum! I did an oxtail dish this week as well. I love the rich flavour it gives. The cookbook looks amazing and I'm so proud and happy for you! 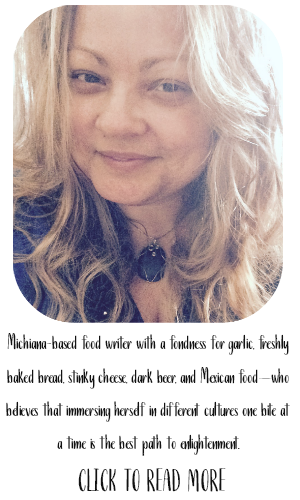 I make Braised Ox Tails and my husband loves it! Ox Tails used to be very inexpensive but now they've gone tendy and up in price too! Oxtails are the BEST - nothing more comforting and beefy in the middle of winter! I'm so glad you lke the book - and thanks again for contributing to it!